Helps kids learn monetary concepts. 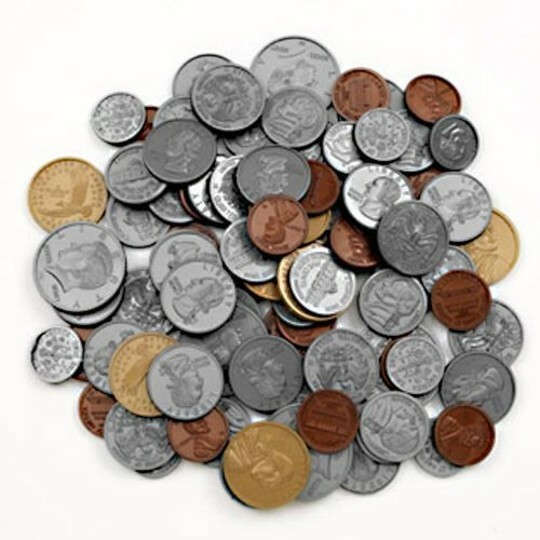 Actual-size, authentically detailed coins provide an effective, hands-on learning experience. Includes 100 each of pennies, nickels, dimes and quarters; 50 half-dollars and 10 Sacagawea dollars in storage tub. Set of 460. Plastic coins have reeded edges. Grades K+.